Having your own YouTube channel is a great way to share your videos while you’re at the Hockey World League. 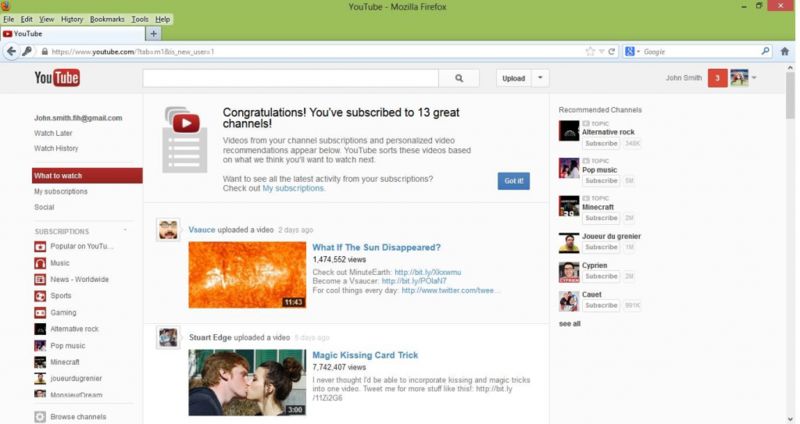 To create your own channel, you need a Google account. Go to www.google.com/accounts/NewAccount and sign up using the form provided. Choose your YouTube username which, like Twitter and Facebook, should be as simple and close to your real name as possible. Enter your date of birth, select your gender and click ‘I accept’. Confirm your new email address through the confirmation email sent to the support email address that you entered when you signed up. Alternatively, if you have an existing Google Account, go to youtube.com and click “Sign In”, where you can then enter your Google Account information and log in. If you have not completed your profile, go to www.youtube.com/account_profile and enter your personal information. You can also add a photo to make your profile more attractive. Click ‘Save Changes’ and you’re ready to start using YouTube. 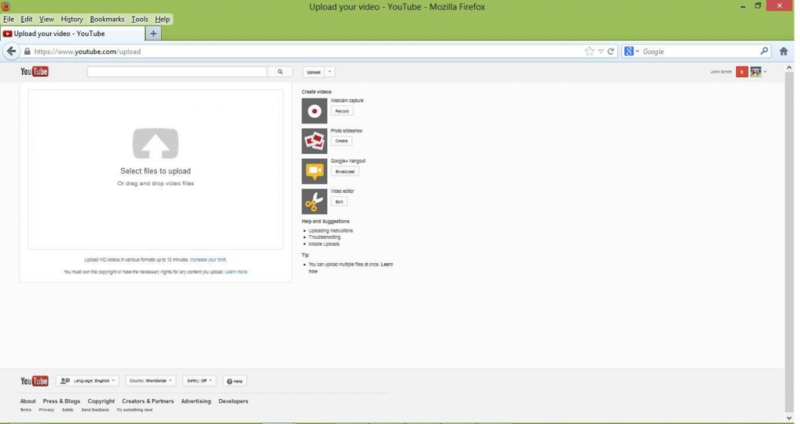 Your channel appearance can be modified through your channel settings. You will have the option to upload a video already on your computer or to create a video, which could be through your webcam. On the same page, you will also find help, suggestions and tips on how to upload your videos. Once your video is recorded/uploaded, enter the relevant information in the video information form. Choose a title that will be easy for people to find, such as “Hockey World League Training (5/5/13)” or “John Smith World League Video Diary – Day 2”, and enter a brief description of what the video is about. Enter tags to make the video easily searchable. We recommend using “hockey”, “FIH”, “Hockey World League”, your event location, your country and your name. Select the category of the video, e.g. Sport, and the “Public” option in the privacy settings before clicking ‘Save Changes’ to finalise the upload. If your YouTube account is connected with your other social networks, then any new post will be automatically uploaded to the channels you connect with. To view the networks you can connect with, go to youtube.com/account_sharing. Simply click ‘connect accounts’ next to the relevant social networks you have a presence on and allow access. Sharing YouTube videos with your online community is a great way of giving fans an insight into life at the Hockey World League, and this should influence the type of content you record on video. Memes – get involved with any trending videos – think dances, songs or tricks. We have had some great viral videos in the past from teams! Make sure you get permission from your coach and/or team’s press officer before you upload any footage of practices and games. Everyone (adults, young people and children) have the right to privacy and so their consent should be sought when obtaining information about them and images of them. If the young adult is under 18 years of age, then informed consent should be obtained by a parent or legal guardian. If the child or young person does not want their image to be used or taken, then this should also be respected. As a player in the public eye you should be aware of child protection issues and keep them in mind when posting any media with children or vulnerable adults in it. Please consult your country’s and National Federations’ Child Protection policies. FIH may use media for PR purposes such as, photographs/images, videos, time-lapse videos, player profiles, and squad reports. These can be published on social media such as Twitter, Facebook, Instagram, official website, blog, Snapchat, Vine, Flickr and other official social media platforms of the Federation. Ask for children’s permission to use their image. This ensures that they are aware of the way their image is being used to represent the organisation. Only use images of children in suitable dress to reduce the risk of inappropriate use. Certain activities present a much greater risk of potential misuse. It is preferable to use images that depict an activity or group context, rather than a particular child. Avoid using children’s names (first name or surname) in photograph captions. The Internet is a publicly accessible and unregulated platform. Decisions to post information, including images/videos, on websites and social media should take account of this. Photographs, set in a particular context (e.g. hockey competition or training) in an identified location reveal a substantial amount of information, through which children may be identified. This information could be used by an individual to learn more about a child or young person and used to form a relationship with them or engage in a process of ‘grooming’ them for abuse. When deciding to publish images of children and young people this should always be taken into account. Public places do not usually require consent. Semi-public places such as competition venues may require consent but this is the responsibility of the organiser of the event. When uncertain clarify with management. Private spaces e.g. homes, training halls, schools, youth clubs or sports clubs with memberships and supervision – informed consent should be given. It is not acceptable to take photographs or videos of people in public spaces without their permission, unless for journalism purposes. Informed consent is a process whereby participants are informed and asked for their permission or agreement prior to taking photographs or recording images. Individuals should be informed of the purpose(s) the image will be used for and asked for their consent. Where images may be used for a variety of purposes (e.g., documenting, promoting or celebrating), consent for each purpose and/or in a variety of settings (e.g., reports, public media, or websites) should be obtained. As a ‘child’ is defined as anyone under the age of 18 years, consent of parents/carers is also required. Supervising staff have a duty of care to challenge any inappropriate behaviour. When photographs or videos are taken it should be under supervision of another adult. Images should be kept safe and used for a valid reason associated with the activity e.g. squad training updates on Facebook. Children, young people and their parents/carers should be informed in advance if and when images will be taken and their consent sought for image retention and use. This process is known as informed consent. Group photographs are preferred to individual ones. No photographs or images that could cause personal upset or embarrassment of the individual should be used. Permission to take and use images of children and young people can be requested as part of their registration process for an activity, programme or event. Refusal of consent should not in any way limit children or young people’s participation in activities. Where images are kept for future use, relevant names, dates and other contextual information should be stored with them as well as signed consent for their usage. Images should only be passed to third parties for their use where this has been agreed as part of the consent process.